When his friend took ill it was suggested to a 21-year-old man that he should drive his friend’s car even though he was not insured. But Aaron Steele , Burnview Terrace, Banbridge, was stopped at a police checkpoint. This led to his appearance last Thursday at Banbridge Magistrates Court when he admitted driving without insurance on May 19 this year. He was fined £100, ordered to pay a £15 offender’s levy and given eight penalty points. The court heard he was stopped at a vehicle checkpoint on the A1 outside Dromore and at the scene admitted he did not have insurance. 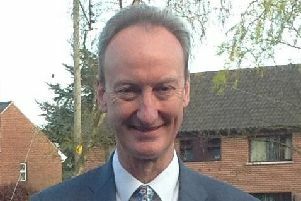 A solicitor representing the defendant said the car was owned by a friend of the defendant and when he took ill it was suggested that Steele should drive.